Toronto dance pop dude Robert Alfons turned heads with the release of Joyland, his first LP since shrinking Trust down to a solo project. 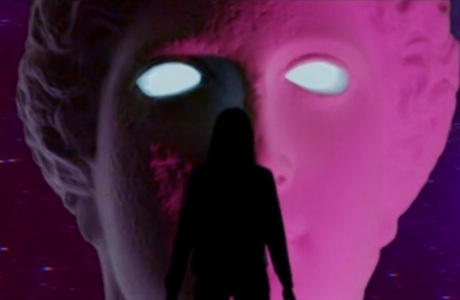 The output continues with the release of a video for the album's single "Capitol." The clip was directed by Will Joines, and splices performance footage of Alfons with a narrative that involves a young girl who seemingly becomes possessed. Speaking with Drowned in Sound, Joines said, "For me, the song created its own surreal world of floating dreams and I wanted to capture that feeling in the video. The goal was to achieve a slightly timeless look with vintage-style visual effects created via a combination of practical lighting effects and VFX created in post." Watch the video for "Capitol" below.